Ever heard of BMW i Motorsport? Yeah, chances are you haven’t but that doesn’t mean it doesn’t exist. The BMW i Motorsport division will be the Bavarian company’s go-to branch when it comes to racing in the Formula E championship. BMW announced for quite some time now that their efforts in this regard will intensify and that they will enter the competition next season with their own team. As time went by, we almost forgot about that but today the Germans published an interesting teaser on their Youtube account. It doesn’t say much and it doesn’t show much, in typical Bavarian style. All it says is #racingbeyond which is most likely a hint at what we’re actually looking at here, since the images don’t really let you make out a lot. What we did manage to spot was a shape resembling a one-seater. Whether that’s powered by an electric powertrain or a more conventional one isn’t really a question, as BMW said a number of times it’s not planning on getting back into Formula 1. At the same time, the BMW i Motorsport division is pretty much a clear indicator that we’re looking at their future Formula E car here. On September 14 we’ll get to see it in full, as if its design’s going to be any kind of surprise to anybody. 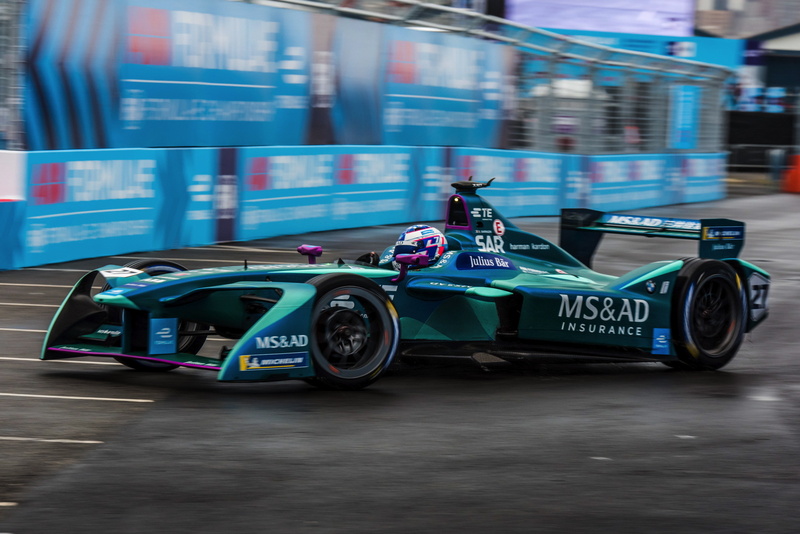 After all, Formula E has specific indicators regarding the way the cars are supposed to look like and perform and all that differentiates them between each other is the livery. While the outsides might be exactly the same, the Formula E rules allows teams to use different electronics underneath which is why BMW is interested in this new type of motorsport. They are hoping the tech developed for competitive racing could then be infused into their future road-going electric vehicles and that’s something we can all look forward to. The fifth Formula E season will kick off on December 15 in Saudi Arabia and will feature BMW as an official manufacturer for the first time.